We implement business applications from FinancialForce and Salesforce.com. What FinancialForce Consulting solution do you use? TOP Step Consulting improves business efficiency and productivity for professional services business operations. OAC Services is a world-class consulting firm specializing in cloud and on-premise CRM and ERP implementations. Ladd Partners is a Silicon Valley based Cloud CRM and ERP consulting practice specializing in FinancialForce implementations. Icon Cloud Consulting is the premier FinancialForce implementation partner, focusing on increasing customer satisfaction and return on investment for FinancialForce customers. At OpMentors, we bring together a passion for operations and solutions, ensuring our clients have a unified cloud technology flow in place. * We monitor all VFP Consulting reviews to prevent fraudulent reviews and keep review quality high. We do not post reviews by company employees or direct competitors. Validated reviews require the user to submit a screenshot of the product containing their user ID, in order to verify a user is an actual user of the product. Hi there! 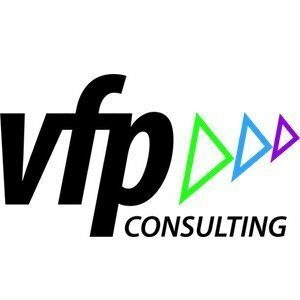 Are you looking to implement a solution like VFP Consulting?